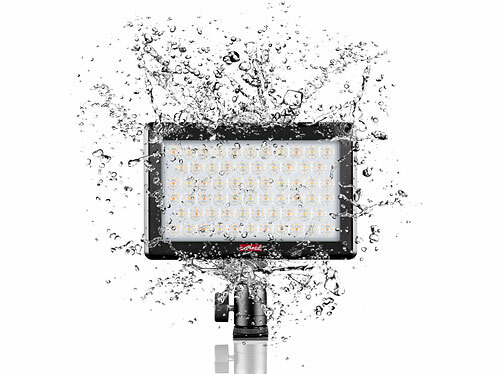 Metz — the German manufacturer of Mecablitz flashes — has announced the Mecalight L1000 BC and L1000 BC X LED lamps, designed for video lighting. 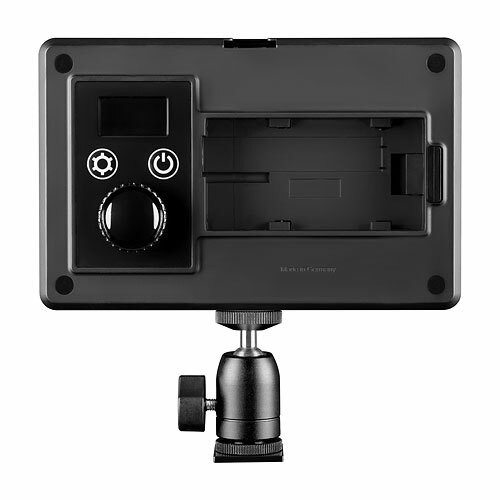 The Mecalight L1000 BC and L1000 BC X are battery-powered, running from a Sony NPF-type lithium-ion battery, from six AAs or via micro-USB port from a phone charger or power bank. The difference between the L1000 BC and L1000 BC X is that the X model is the “outdoor version”, with an IP44 splashproof rating. Both lamps in the series offer bi-colour control, which means you can adjust the output colour temperature from 2800 to 5800 Kelvin for creative effects or to balance with ambient lighting conditions. The colour rendering index (CRI) is 93, with a beam angle of 60° and illumination of 1000 lux at one metre. One of the more unique selling points of the Mecalight L1000 BC LEDs is the integrated Bluetooth module, which allows the user to control the intensity and colour temperature of up to seven similar LEDs remotely, via a dedicated Android or iOS smartphone app. 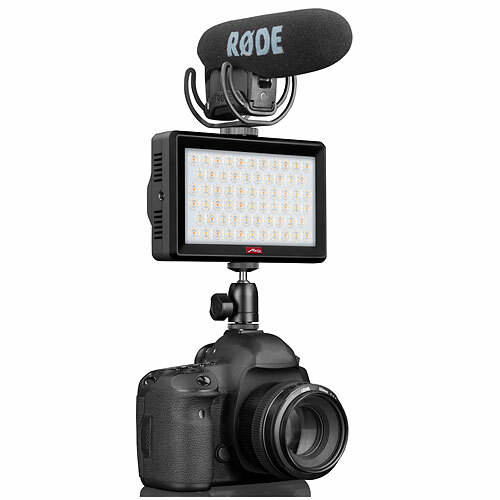 The LED itself has three 1/4-inch tripod sockets for mounting on cameras or light stands, and a coldshoe suitable for holding a microphone. The control panel is an OLED display. Release date is set for the week commencing 27 March 2017. 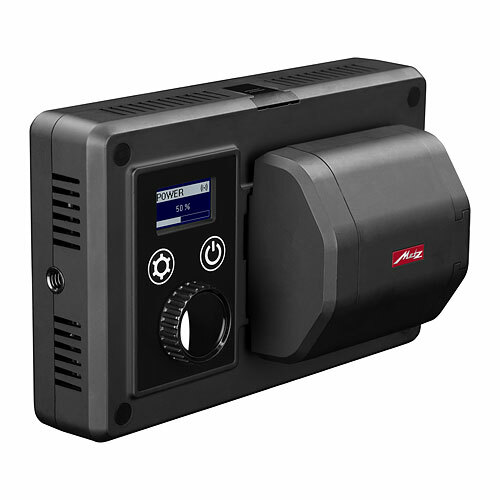 Recommended retail prices are €249.90 for the Mecalight L1000 BC and €299.90 for the Mecalight L1000 BC X, which also comes with the Mecabounce MBL-01 diffuser panel (available separately for €19.90). Both units come with a miniature ball head for mounting on your camera. For more information, visit the Metz Mecatech web site.